Have you ever been to a Christmas Market? Well, I have a story about one today. It’s only a week until Christmas! The presents are almost all ready. The sleigh is almost all ready. Do you know who IS ready though? Well, I am ready for the big night! The reindeer are ready to fly. And, I’m pretty sure Mrs. Claus and a few of the elves are ready — for a little break! So, I planned something very special. I gathered up Mrs. Claus, the reindeer, Clumsy and a few of the other elves. Then I told them we were going out for a Christmas surprise. Now EVERYONE was very excited as we started to fly. Soon they started to see small white huts and Christmas lights. There was even a giant, colorfully decorated Christmas tree. Then, they could smell it: gingerbread, bratwurst, and hot chocolate! Yum! We rode the Ferris wheel. Then we rode the carousels. The reindeer even gave out a few pony rides. Christmas markets are a lot of fun! Mrs. Claus liked looking at the beautiful cuckoo clocks. But then she heard a scratching sound. She was pretty sure that the sound came from a huge cuckoo clock. It was hanging at the very top of a hut. Clumsy flew high up in the air and landed right in the arms of Mrs. Claus! What a great time at the Christmas market! P.S. How do you think Clumsy ended up in the cuckoo clock? Do you think it would be fun to ride a cuckoo clock? You can click here to tell me about it or, scroll down to see what other people have written! Its not yet snowing in Colorado yet, but I really hope it dose snow for Christmas!! HI SANTA!! hope your christmas is super fun!! Also Clumsy, please just listen to Santa!! Im sure he would appreaciate it!! Clumsy, your so funny! and clumsy! i love you Santa and all the elves and reindeer! MERRY CHRISTMAS!! clumsy, your so funny!! And clumsy! have a Merry Christmas Santa and to the elves and reindeer!! Hi.The first thing i want is a barbie doll that you can curl her hair.The next thing is Furlreal frind baby.Then i would like is a bird that sings.Then i would like a elsa doll.Then a furlreal dog. I think that it might be kind of scary at first, but you could get used to it I guess! and designed clock of my very own?!! I love it when it comes to Christmas time!! Is one of your elves named Clumsy?Well I’m starting a new tradshain. It is that I get to open one of the presents my mom and dad get on Christmas Eve. I can’t do it today since it’s Christmas Eve. But trust me I will do it next year. Sorry this message is from the text of one of them you were talking about tradishions. Thank you for listening to my text now. Be ready for the speical day Santa. Cause i know i am!!!! Have a very Merry Christmas Santa and a Happy New Year!! I think Mrs. claus will miss you a lot. How are your elves anyway? I bet they are doing fine. Working day and night. I hope I could see you one day which would probably never happen but worth a shot. Oh! and are your elves ready for christmas. I bet they are!! Okay, Merry Christmas now. I have to go bye. Dear. Sañta, are u ready for the big night? Santa where do I visit you now on Christmas Eve? MARRY CHISMAS AND HAPPY NEW YEAR!!! I mean his name is clumsy, who knows what happened! That is really funny!!! I love reading your stories! How did he get in the cuckoo clock? you are cool! Rudolf is also cool! 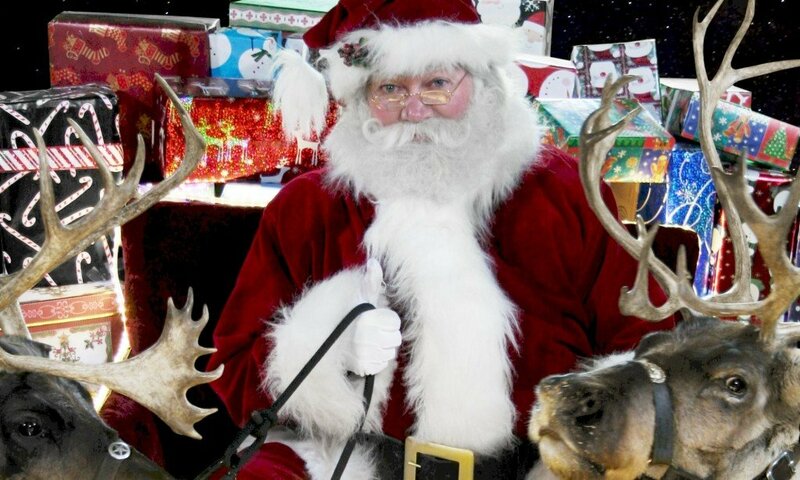 you are really cool santa also say hi to Rudolf for me and he is also cool! hi santa maybe u should also vist my blog and please comment i have no comments oh and i think the story was so funny! Maybe he went in through the back and crawled up to the cuckoo bird. I think it would be kinda sacry to ride a coo coo clock. Whoo!! Santa!!! Very funny story. I’ve red it 10 times. Love you santa!! RUDOLPH s NOSE you are funny Santa!!!!!!!!!!!!!!!!!!!!!!! Mia had just taken a bath and was ready for bed. What was that note laying on the pillow? It wasn’t there before Mia went to take a bath. You’re invited to a Christmas party at Santa’s Secret Village! If you can come, go sit by your Christmas tree tonight and think of me! Mia waited until everyone else in the house was asleep, then tiptoed from the bedroom to the Christmas tree. Sitting down, Mia looked at the ornaments and concentrated on Santa Claus. Even though the lights were off in the room, there was moonlight outside, enough to give a sparkle to the shiny Santa ornament on the bottom branch. The ornament began to jiggle, and Mia could hear laughter from a distance. The lights on the tree came on and got very bright. Mia wasn’t afraid. No, Mia knew the party was about to begin! “Welcome to Santa’s Secret Village!” boomed a cheerful voice. “I’m so glad you’re here!” The elves crowded around Mia, bringing a warm coat, mittens, shoes and even an elf hat. Mia had never seen a more beautiful sight. The village looked like a fantasyland. The buildings were loaded with Christmas lights and other decorations. Christmas songs played, elves were dancing, and the reindeer were prancing around to the music. Soon everyone was laughing and happily playing games. Their first game was “Pin the Tail on the Reindeer.” Bonnie was the first one to be blindfolded. Santa gave her the “tail” and turned her around. She went straight away from the reindeer poster and pressed the “tail” on Santa! Everyone laughed, even the reindeer, who were good sports about the game—after Santa assured them the “tail” was made of paper and would be attached with tape and not pins! Their next game was bobbing for frozen snowballs. The reindeer loved frozen snowballs, and they were quite willing to dunk their faces in the water for such a treat! “Oh, Raymond,” laughed Santa, “you look so funny! You’ve played in the water so long you’re going to have icicles hanging from your face!” Raymond was the youngest reindeer in the village, and Mia, who was 8, liked him a lot. “Let’s take a break from the games and go see what Mrs. Claus has prepared for us,” said Santa. Bud and Bonnie walked with Mia to the food tables, which were loaded with lots of delicious treats. 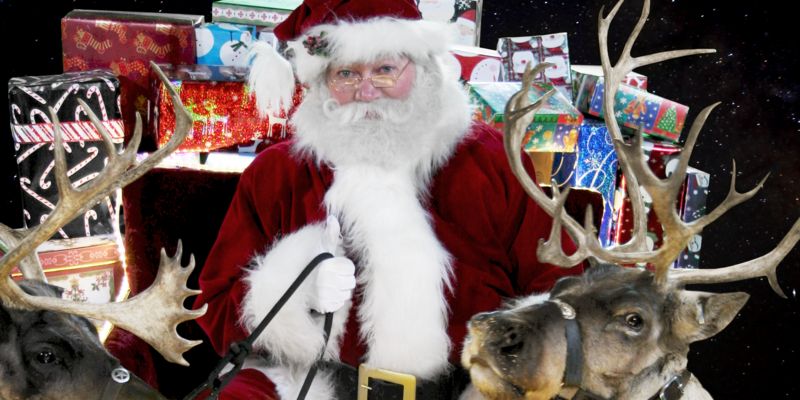 There were lots of things Mia had back in Bentleigh—Christmas cookies, hot cocoa, candy canes and apples and carrots, which the reindeer went for first. Mrs. Claus even had Mia’s favorite, Ice cream! There were some surprises, too—kringle fries, northpole nachos, snowcream pudding, and Santa shakes! Everything was so yummy! They all ate and ate, until Santa laughed and told the reindeer if they kept eating they’d be too heavy to fly! Their next game was “Ring Around the North Pole.” Santa, Mrs. Claus, Mia and the elves joined hands and circled around the North Pole in the center of the village. They skipped around in one direction, and when the music stopped, changed directions and skipped the other way. Each time the music restarted, it played faster. They laughed and skipped and turned until they fell in the snow, dizzy and laughing! To Mia, fun usually involved iPad mini or Art, but being here was especially fun. Mia was so happy! And so were the reindeer, who had gone back to look for more frozen snowballs. Since they were already in the snow, they decided to make snow angels. Back in Bentleigh, Mia and Barney had talked about playing in the snow just yesterday. Suddenly it began to snow. “Fresh snow for Christmas!” cried the elves. They all jumped up excitedly. Mia blinked hard and looked around. There was the Christmas tree. The lights were off, but there was still enough moonlight to see. The Santa ornament was very still. And underneath it, on the floor, were a note and two big candy canes! Mia, I’m so glad you came to my party! Here’s a little treat for you, and your friend Barney, too. Happy and tired, Mia picked up the note and the candy canes and tiptoed back to bed. Yes, thought Mia, it already was a very Merry Christmas. He got in with nobody looking! Santa that was an AMAZING story. looks to me that it was too epic. I mean I thought a Christmas market was just a grocery store. Wow! Elves can be really clumsy!!! It sounds like a great night!!!! Wow Santa! What an AMAZING story. As a matter of fact, I think it is the best one I have ever heard. I mean really no one says EPIC stories about going to a fun and enjoyable Christmas Market! You are AMAZING Santa. iam 6 years old all i want for chrismas is for my family to have a good day and for my mom to be safe and for my hole family to have a safe good holiday. Santa……that was a very clumsy cuckoo, he was just lucky that Mrs.Claus was there to catch him! And I have been to a Christmas market in Belfast and it was very,very fun. santa that story is so funny! clumsy is so… clumsy! He went into the door of the cuckoo clock. If it was bigger than clumsy, he could have walked in when the bird was out the first time. And then the second time he rided out on the bird. Maybe clumsy flew into the clock. I mean his name is clumsy. Previous PostPrevious Santa’s Sleigh has a Pudding attack! Next PostNext North Pole Newsflash 2013: Santa Fit To Fly!